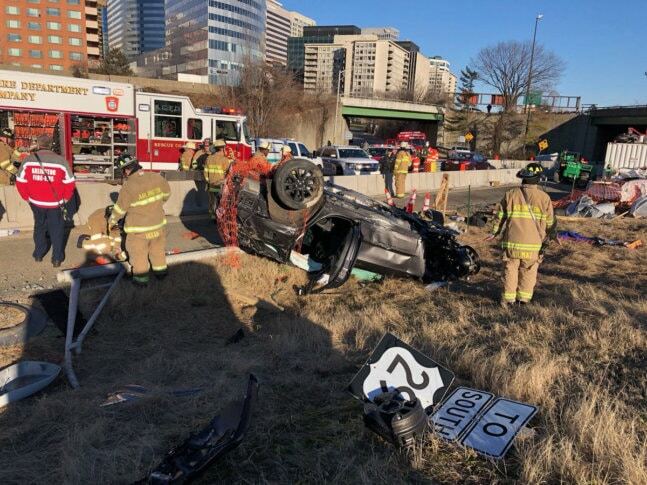 WASHINGTON — One person is in a hospital after their vehicle went over a bridge on Interstate 66 Monday morning. The Arlington County police said the driver was headed east on I-66 on the bridge over Va. 110 north, when he went over the side and landed on the road roughly 15 feet below. The vehicle ended up in an embankment. The driver was taken to a hospital with what the police and fire departments said were non-life-threatening injuries. All lanes of Route 110 were closed from Arlington Ridge Road to Marshall Drive for about two hours; it was reopened around 10:30 a.m.